Mysteries of the deep (and not so deep): Here are a few famous vessels and the circumstances that did them in, from wartime to disgraced captains. March 12, 2013, 4:10 p.m. Grab a pack of Dramamine and brush up on your muster drill skills, folks … we’re expecting a rough passage ahead. Over the centuries shipwrecks have managed to captivate and confound historians, scientists, adventurers and the disaster-tracking public like no other maritime event. How do they happen? In many cases, that answer isn’t always crystal clear with possible clues lying hundreds of feet on the ocean floor. And what can we learn from history’s most ill-fated vessels? How can improvements in safety legislation and advances in nautical technology and engineering help to prevent these tragic, terrifying and often heavily romanticized disasters? In a quest to learn more, we’ve rounded up a diverse sampling of notorious shipwrecks that occurred during peacetime and wartime. These disasters, while not necessarily the most deadly or dramatic in history, are each significant in their own way. Each is the result of varying circumstances: treacherous weather, military conflict, collisions with other vessels or objects, truly terrible captains and on. Many — specifically those that have foundered — are the subject of ongoing deep-sea forensic expeditions and artifact recovery efforts. As a result, these ghostly wrecks are treated as archeological sites and are subject to extensive diving restrictions. Our list is presented in chronological order. And while it might seem that the number of casualties associated with each shipwreck decreases as time marches on, let’s not forget that modern-day maritime disasters such as the sinking of the MV Doña Paz and the MS Estonia claimed hundreds, even thousands of lives. Following our main entries, we’ve included 10 more shipwrecks of note. Is there a famous shipwreck that particularly intrigues you? Sink date: April 15, 1912 following an iceberg strike about 375 miles south of Newfoundland. Not really much of an explanation — or a soundtrack — needed for this one. Icebergs, lifeboat shortages, Molly Brown, the most dedicated cruise boat orchestra in the history of the world. We all know what happened just before midnight on April 14, 1912, as the reputedly unsinkable RMS Titanic proceeded along its maiden voyage from Southampton to New York City. Instead, let’s consider the revelations that have been made since the wreck of the 882-foot luxury liner was discovered 12,000 feet below the ocean’s surface in September 1985. Port of registry: Liverpool, U.K.
Often overshadowed by the tragic foundering of the Titanic only four years later, the technologically advanced, sumptuously outfitted RMS Lusitania met a fate that was just as harrowing: While en route to Liverpool from New York on May 7, 1915, the super-luxe Cunard liner was torpedoed by the German submarine U-20 11 miles off the Old Head of Kinsale, County Cork. Following the attack, the 787-foot vessel plunged 300 feet to the bottom of the Irish Sea within 18 minutes. The ship was carrying both civilians and a massive amount of contraband munitions in its cargo — a controversial factor that birthed an international blame game and a fair amount of conspiracy theories. The attack gave the stunned 1,959 passengers and crew little time to evacuate and escape in lifeboats (yes, there were enough). In comparison, the Titanic sank in a little less than three hours. Only 761 people survived the attack on the Lusitania. Although not as many high society names appeared on the ship's manifest when compared to the Titanic, a good number of socialites, business tycoons, politicians, writers and at least one Vanderbilt perished. Most succumbed to hypothermia. Prior to departing from New York, the German embassy had warned passengers of the dangers of traveling through submarine-infested waters during wartime (check out the right side of this Washington Times front page for the warning). Most did not heed the warnings. In the end, 128 defiant Americans lost their lives. The most notable aspect of the Lusitania wasn’t the sinking itself or any subsequent wreckage expeditions by Robert Ballard or others. Rather, it was the impact the event had on the course of world history. Following the attack, many staunchly neutral countries opted to side against Germany in World War I. What’s more, the sinking of the Lusitania served as one of the primary catalysts for President Woodrow Wilson’s decision to formally enter the United States into the conflict two years later. 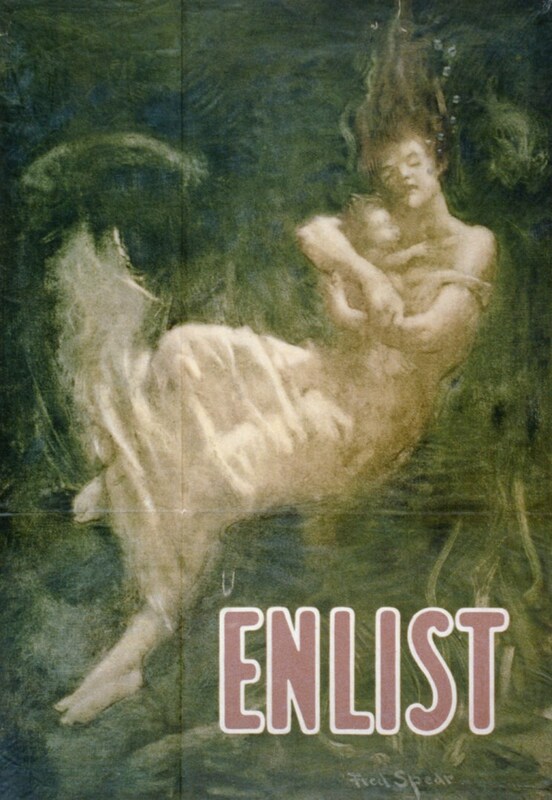 The event played a crucial role in American recruitment efforts with images of the doomed ship and its passengers appearing in several propaganda posters, including this rather tragic one. Sink date: May 27, 1941, after engaging in a heavy naval battle with British forces in the North Atlantic off the coast of France. It wasn’t until 1989 that the remarkably well-preserved wreck of the Bismarck was located 15,000 feet deep by none other than the same famed deep-sea explorer who had discovered the final resting place of the Titanic four years prior: Oceanographer Robert Ballard. During that expedition Ballard was able to lay to rest years of speculation about how the mighty Bismarck sank. His conclusion? The Bismarck had not been sunk by the British, rather the ship had been scuttled — deliberately sunk — by its own crew. The 2002 James Cameron-directed (go figure) Discovery Channel documentary “Expedition: Bismarck” came to a similar conclusion after an extensive survey. It’s believed that the ship could have stayed afloat for several more hours if its crew had not sabotaged the engine room valves, hastening its foundering. Sink date: Dec. 7, 1941, after being bombed by Japanese aircraft during the attack on Pearl Harbor. Unless your name happens to be James Cameron (or Robert Ballard), most of the wrecks featured on this list aren’t exactly easy to access. An exception is the vulnerable USS Arizona, the built-in-Brooklyn American battleship that exploded and sank during the attack on the Pearl Harbor Naval Base in Oahu, Hawaii. Straddling the submerged hull of the vessel is the USS Arizona Memorial, an accessible-by-boat site operated by the National Park Service that’s visited by upwards of 1 million visitors a year. The wreck itself has been designated as a National Historic Landmark while the Alfred Preis-designed memorial, dedicated in 1962, is listed on the National Register of Historic Places. The Arizona’s superstructure, armament and any other elements that rose above the waterline were removed not long after the catastrophic surprise attack — “a date which will live in infamy” — on Pearl Harbor by the Imperial Japanese Army. However, one of the ship’s barbettes rises above the surface of the water and is clearly visible to visitors. During the attack on Pearl Harbor, seven additional battleships were sunk or damaged along with multiple other vessels and aircraft. In total, 2,042 Americans were killed at Pearl Harbor, nearly half of them aboard the USS Arizona. Sink date: July 26, 1956, following a collision with a smaller Swedish luxury liner, the MS Stockholm, off the coast of Nantucket, Mass. Sink date: Nov. 10, 1975, after encountering a severe winter storm on Lake Superior. The same episode of “Seinfeld” that found always tactful George battling over an available apartment with a survivor of the Andrea Doria also managed to sneak in a reference to the largest ship to ever sink in the Great Lakes, a 729-foot freighter named the Edmund Fitzgerald. And, of course, there’s Canadian crooner Gordon Lightfoot’s melancholy take on the fateful night in 1975 that the “Mighty Fitz” foundered in the middle of Lake Superior while en route to Detroit. “That good ship and crew was a bone to be chewed. When the gales of November came early.” Seriously, between Lightfoot and Céline Dion, Canadians have a knack at releasing chart-topping ballads about shipwrecks. To this day, it’s a mystery why exactly the Edmund Fitzgerald, an iconic Great Lakes “workhorse” that spent nearly 20 years hauling iron ore between Superior, Wis., to various ports, sank without so much as a distress signal during a fierce winter storm that had rolled over Lake Superior. The 70 mph sustained winds and 35-foot waves obviously had something to do with it, but in terms of causal factors, it is unclear if rogue waves, flooding in the cargo hold, shoaling or structural failure ultimately did the boat in. Additional theories exist as well. Numerous diving expeditions have been launched over the years to learn more about the demise of the Edmund Fitzgerald — the wreck is located at a depth of 530 feet near the entrance to Whitefish Bay — including ones directed by Fred Shannon and Jean-Michel Cousteau. In 1995, Canadian explorer Joseph B. MacInnis led a successful bell recovery mission at the request of the families of the freighter’s missing crew. Currently, the wreck is protected as a marine archeological site and dives are highly restricted. Following extensive search efforts, the bodies of all 29 members of the ship’s crew were never recovered. The insurance executive whom the ship was named after passed away in 1986 at the age of 90. Sink date: Jan. 13, 2012, after striking a reef and running aground at Isola del Giglio, Tuscany. It’s traumatic enough when you’re aboard a luxury cruise liner that strikes a reef, loses power and begins to list before drifting and running aground. But how about when your (apparently) cocaine-sniffing captain delays evacuations and then abandons ship while there are still 300 stunned and panicked passengers aboard and refuses to return to his sinking vessel? On the evening of Jan. 13, 2012, just that happened off the western coast of Italy at Isola del Giglio. In an ordeal described by the New York Times as a “drama that seemed to blend tragedy with elements of farce” and that’s often compared to a modern-day Titanic disaster due to its botched evacuation, a 952-foot cruise boat from hell, the Costa Concordia, struck a reef and partly capsized in the Tyrrhenian Sea. At the time, 4,252 people were on board. Thirty-two of them, both crew and passengers, perished and scores of others suffered injuries. The disgraced captain in question, Francesco Schettino, was arrested and faces charges of manslaughter, causing a shipwreck, and abandoning ship. As for that last one, Schettino claimed that he slipped and fell overboard off of a deck and into a lifeboat while helping passengers evacuate the ship. Mmm hmm. Following the wreck and rescue efforts, the partially submerged Costa Concordia was successfully defueled, eliminating growing fears of an environmental catastrophe. The salvage mission, described as the largest refloat in history, is in progress. It’s expected to be completed by the summer of 2013.